Blackjack Betting Strategies are quite popular, especially since the game has been featured in hit movies like Rain Man, 21 and The Hangover. No matter what the game, there is one universal rule; if the casino spreads the game, someone has developed the “perfect” betting strategy. Roulette strategies are perhaps the most prominent as roulette strategies and systems have been offered for sale for centuries. As a dealer and a player, I have been able to see and try many of the most famous Blackjack Betting Strategies. Blackjack strategies don’t change around the world but it is interesting to see different perspectives. A good blackjack resource for Canadians is TopOnlineCasinos.ca. There are two strategies that every player should use every time they take a seat at or swim up to a blackjack table. Napoleon was a fan of Vingt-un (blackjack) near the start of the 19th century. 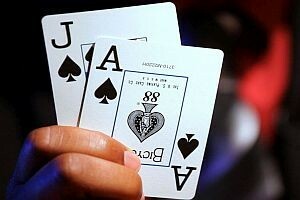 For more than two centuries, blackjack has grown in popularity to become the most popular casino table game. Mathematicians have analyzed the game, hundreds of books have been written about it, and a number of myths and legends have been created. Earning a place in the Blackjack Hall of Fame at the Barona Casino in California is the only honorary award for players of any casino table game. There is a reason that blackjack has remained popular for a couple of centuries; it’s fun! There are many varieties of blackjack. Mr. Green offers a great selection of 15 blackjack games by 6 software providers, including Double Exposure Blackjack Professional Series by Net Entertainment, VIP Blackjack by Extreme Live Gaming, and 6-in-1 Blackjack by Felt. Spin Palace offers a remarkable amount of blackjack games. There are over 40 blackjack games in total on offer. They also offer practice play which is perfect for sharpening your blackjack skills before you start playing for real money. 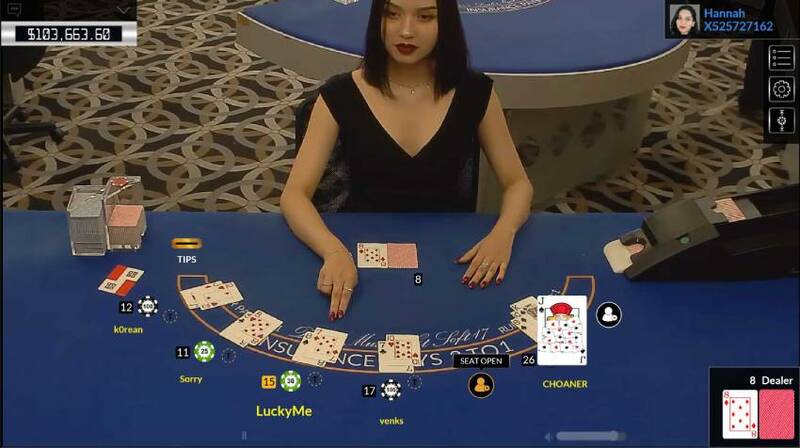 Most of their games are developed by Microgaming which are very popular in English speaking countries like Australia, New Zealand, UK and Canada. New Zealanders can look to NZOnlineCasinos.co.nz for valuable blackjack strategy info. Yes, the game has a really low house edge, which makes it appealing, but it is a very social game, so in many cases, the table wins or loses as a group. This builds comradery and makes it fairly common for players to talk with one another. The social aspect of the game is a very important one to most players. Set up a bankroll before you go to the table. This is your total stake. As has been mentioned numerous times, blackjack is supposed to be fun. Playing with money you can’t afford to lose (what dealers and players call “scared money”) practically guarantees you won’t enjoy the game. It is fairly easy to find table limits to fit most bankrolls. 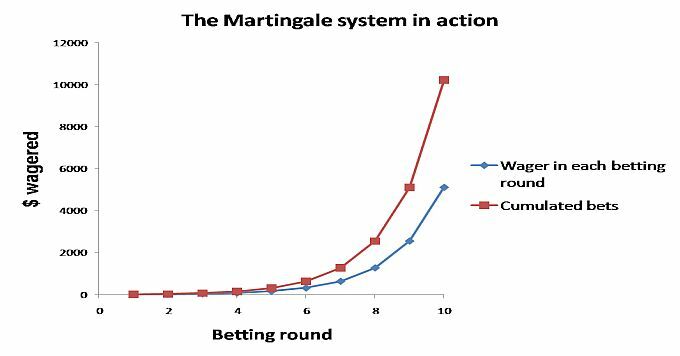 The Martingale system originated in 18th century France and is one of the oldest systems around. The original theory was used to prove that someone with infinite wealth could always avoid a loss in even money bets by doubling the best after each loss. Most likely the first casino game where the Martingale system was touted was roulette, but it can also be used in other areas, such as in stock market trading. You will often see players use the Martingale system at the blackjack table, doubling their wager after each loss. In theory, this strategy sounds solid. However, blackjack is not an even money game. And additionally, players will occasionally run into a bad streak of cards. At a $5 table using the Martingale system if you lose 8 hands in a row, you will be wagering $1280 on your next hand, so unless you are a legendary high-roller, you are probably better off taking the $5 loss. Here is a fact: Once the chips are in your stack, they are your chips, not the house’s. The second most common lament you will hear is a player talking about missing out on a hot streak. The 2-1-2 strategy helps address both. 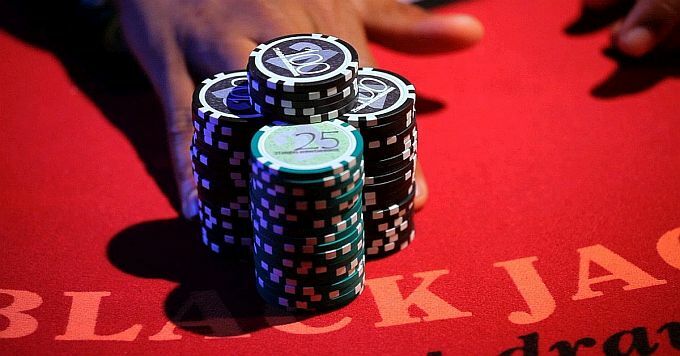 First, there is no mathematical foundation for “hot” or “cold” streaks at the blackjack table. Mathematicians will tell you (truthfully) that there is no such phenomenon. Blackjack players know they exist. As a player you want to capitalize on a good run of cards and this strategy has some merits. Start with a 2 unit bet. If you win you reduce the bet to one unit. If you win that bet you increase to 3 units. Once the dealer wins you go back to your original 2 unit bet. With the 2-1-2 strategy, players will win a bit more with a hot run yet not sacrifice all of their winnings. Oscar’s System was proposed in the 1960’s in a book by mathematician Dr. Allan Wilson. It is a fairly decent system. The goal of the strategy is to win exactly one unit per series. The player starts a series by betting one unit. After a win, the player adds a unit; after a loss, the next bet is exactly the same as the previous one. That’s it. Many players feel that playing multiple hands increases their odds of winning. Playing multiple spots can be exciting, but it does absolutely nothing to increase your win rate. Most of these systems fall under the heading of progressive bets. While these are among the most common, they are by no means the only strategies out there. It is perfectly fine to sit at the table and make the exact same wager every hand. While this strategy is a bit boring for me, if it works for you that is what counts. There is absolutely nothing wrong with taking out a deck of cards and developing your own strategy as well. Ok so we’ve covered the popular blackjack betting systems here and highlighted how they are used but are any of them really useful in the long run? The answer is a resounding NO (this article goes into great depth as to why). While you might make great short term wins, any betting system will not be a formula for success in the long term. To truly gain an advantage against the casino you must start with learning basic strategy and then moving to card counting. BlackjackInfo’s Blackjack School – A comprehensive free resource that covers both basic strategy and card counting principles. Blackjack Apprenticeship – Run by Colin Jones, a professional counter who featured in the blackjack documentary Holy Rollers, this site provides a paid course offering video training material, private coaching and more. WizardofOdds – The wizard has some great strategy charts but only for 4-8 decks. If you need more customized charts then BlackjackInfo has a good strategy chart builder.